Several decades ago flying was much less glamorous than it is now. 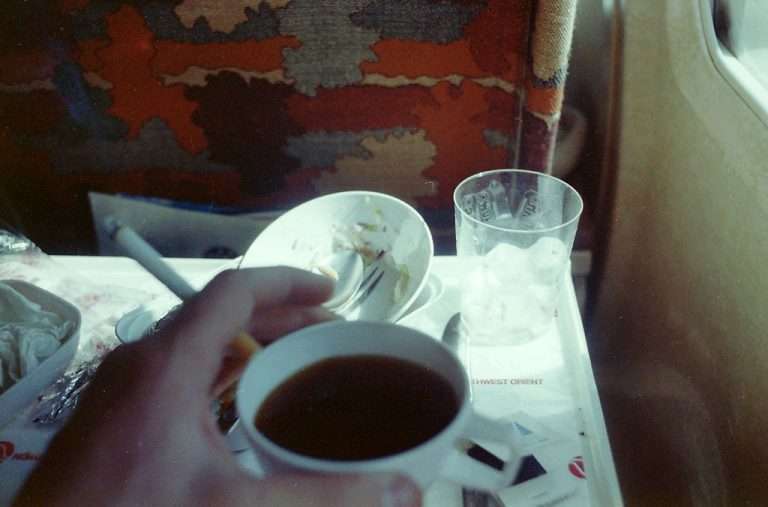 Sure, people used to dress up for the journey, but everyone was smoking. Now we can appreciate fresh, even if a little bit dry, air in airplane cabins. But did you know that smoking in airplanes was prohibited not just to make flying more comfortable for non-smokers? In fact, smokers in the airplanes didn’t bother people too much. They were typically seated at the rear of the cabin, where they could smoke without disturbing non-smoking passengers. Because air inside of an airplane is flowing from the front to the back smoke was evacuated pretty effectively, without filling entire cabin with unpleasant smell. When in 1988 smoking was banned from flights that are shorter than 2 hours, airlines were actually worried that people are going to fly less because of this decision. And now if you do try to light up a cigarette, you are facing a huge fine and/or ban from flying that airline again. Why is that? Back in a day, you could buy cigarettes from flight attendances. That contributed to revenues of the airlines, which is why they were against in-flight smoking ban. Tobacco companies were also vocal about their disapproval or such decision. And, of course, smokers felt discriminated, especially when the ban included pretty much all longer flights. 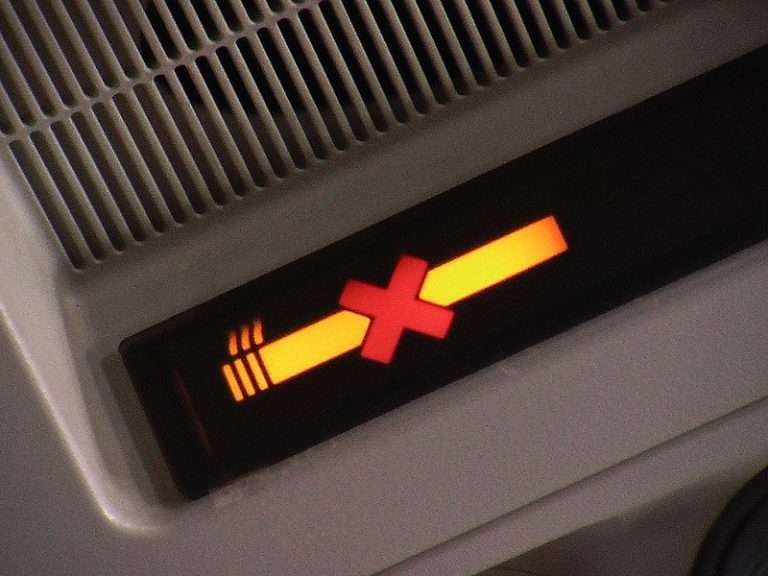 However, not airlines are very happy that no one is smoking in the airplane. The truth is that smoking costs money not only to people buying cigarettes, but also to airlines, because it increases the cost of plane maintenance. Smokers unintentionally drop ashes on the carpet, they fill up the ashtrays, sometimes damage the seats and so on. Cleaning airplanes that have been smoked in is more time consuming. Also, remember we said air flows from front to back? The airplane cabin, as weird as it may seem, is not a completely sealed pressure vessel – it does vent out. The air pressure inside of the cabin is equal to the one at altitude of around 2-2.4 km. Air is constantly pumped into the cabin and so, some it has to be vented out through the main cabin outflow valve. The opening and closing of this valve is what controls the pressure inside. However, tobacco smoke can make this mechanism sticky. Thick sticky tar used settle all over the main cabin outflow valve. Sometimes it became so sticky that the system struggled to open it. Furthermore, tobacco tar used to cover all the airways from the cabin, which were a significant hassle to clean during maintenance. Finally, smoking could have posed a safety threat as well, if the tar glued the oxygen mask compartment doors too. Pilots used to smoke back in the day as well, but that wasn’t doing any good for electronics. And so now smoking in most airlines is forbidden. However, ashtrays in bathrooms still exists. They are there just in case someone breaks the rules. If there were no ashtrays and someone decided to smoke, they would probably put their cigarettes out on the toilet or in the sink, which someone would have to clean up later.